“From as far back as I remember a regular childhood day could change colour dramatically and without warning. The sound of music, the otherworldliness, the dreamland offered me by song would haul me helplessly through so many fictions.” Robert Plant, 2002 To think of Robert Plant simply as the strutting, youthful vocalist of Led Zeppelin is to do him great disservice. It is, of course, the reason we know his work, and the music he wrote and performed with Jimmy Page and the band between 1968 and 1980 set the template for his long and distinguished career. But it is a long career indeed, and the 12 years with Zeppelin are a mere fraction of the time he has been a vibrant and vital solo performer. 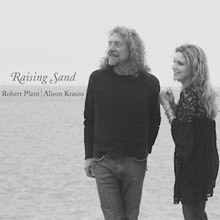 Voted the Greatest Voice in Rock, Robert Plant was absorbing music from when he was an early teenager. Plant has successfully reinvented himself from archetypal rock front man into something much truer to his heart: a diverse absorber of roots, country, blues and soul. Never one to be stereotyped, he has stood outside his rock persona on many occasions, from his birth of rock and roll Honeydrippers episode in the 1980s, to his marvellous blend of roots and Americana that was Raising Sand, the Grammy-winning album he made with Alison Krauss in 2007. Plant began his career in the West Midlands in the mid-1960s. He turned professional in 1966 and signed to CBS and recorded three singles, the first of which, ‘You’d Better Run’, was credited to the group ‘Listen’; all of which sank without trace. Plant had worked with both Terry Reid and Alexis Korner, and he sang in Band Of Joy and Obstweedle. Reid recommended Plant as vocalist to his friend, London-based guitarist Jimmy Page, for the outfit he was forming, then called the New Yardbirds, after Reid himself had turned down the position. Page was amazed by what he heard after he saw Plant singing at a college in Birmingham, and offered him the position. Plant asked if his friend, Band Of Joy drummer, John Bonham, could join as well. Bassist John Paul Jones completed the line-up. After Who drummer Keith Moon had said that Page’s outfit would go down like a ‘lead balloon’, Led Zeppelin were christened. It was the freshness and vibrancy Plant and Bonham added to seasoned session men Page and Jones that gave Zeppelin their uniqueness. Between 1969 and 1980, Led Zeppelin were the world’s biggest rock band. 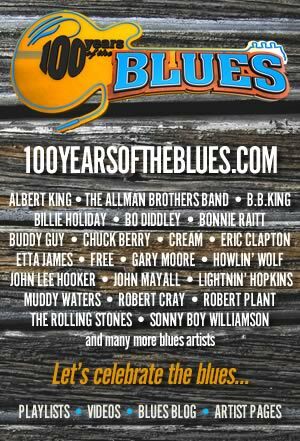 They especially caught flame in America, which fell head over heels for them as the group sold back native blues to huge audiences, albeit with an enormously amplified punch. Yet it was the delicate ballads, borrowed from the English folk tradition, that Plant wrote with Page that truly made the band unique. This was nowhere more typified than on their fourth, untitled album. Released in 1971, it contained the subtle folk of ‘Battle Of Evermore’ rubbing shoulders with the clout of ‘Black Dog’, and, in ‘Stairway To Heaven’, they brought both styles together with spectacular and long-lasting results. Jeff Beck, Jimmy Page and Nile Rodgers. 1988’s Now and Zen saw Plant team up with producer, songwriter and keyboard player Phil Johnstone. The collaboration continued through Manic Nirvana (1990) and Fate Of Nations (1993). Plant had now fully matured as a solo performer and was established. A section of his audience was now old enough never to have seen him with Led Zeppelin. Ironically, it was around this time that Plant began incorporating his old group’s numbers into his live set. 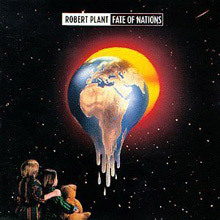 Fate Of Nations contained ’29 Palms’, the superb ‘Colours Of A Shade’ and his sensitive take on the Tim Hardin standard ‘If I Were A Carpenter’. Full-on blues-rock wasn’t that far away though; ‘Promised Land’ had a lot of the swagger of old. Led Zeppelin. The lure of those formidable, indestructible tunes proved an enormous draw for Plant, but he wanted to come to them on his own terms. 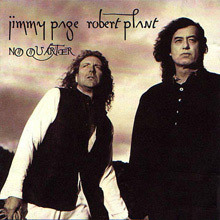 Reuniting with Jimmy Page over a decade after Zeppelin’s demise in 1994, their album, No Quarter, was a hugely successful sidestep for all those who repeatedly called for a Led Zeppelin reunion. Using a fusion of Arabic, roots and world music they reimagined the Led Zeppelin canon, with four new numbers, ‘City Don’t Cry’, ‘Yallah’, ‘Wonderful One’ and ‘Wah Wah’. 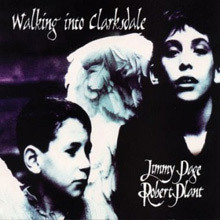 The series of performances were so memorable that Page and Plant decided to work together for the studio album Walking Into Clarksdale, which was released in 1998. It sated Zeppelin fans’ appetite, while neatly taking any pressure off it being a new album by the group. A major tour supported the album. After the excesses of the project, Plant formed Priory Of Brion, a folk-rock outfit that played small venues, as well as guesting with Afro-Celt Sound System. 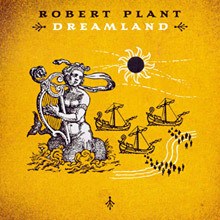 Plant resumed his solo career with his new outfit Strange Sensation to make Dreamland in 2002, a work that reasserted his solo voice, and again showcased his versatility, dipping into a bag of blues and folk cover versions, as well as a couple of originals. A standout version of Tim Buckley’s ‘Song To The Siren’ typified an album that had tremendous light and shade. Plant also took the opportunity to compile a comprehensive collection of his career with the double set 66 To Timbuktu in 2003, which contained a fascinating retrospective of his entire career outside Led Zeppelin. It began with his very first CBS sides, taking in Band Of Joy material, as well as his early work with Alexis Korner. It looked at all his major hits and rarities, culminating in ‘Win My Train Fare Home’, recorded live at the Festival In The Desert in Timbuktu in 2003. It is an excellent place to start discovering this most treasured artist. After a well-received album of original material by Plant and Strange Sensation, Mighty ReArranger, in 2005, Plant oversaw a box set of his work to date, Nine Lives. But it was back to the day job for Plant; he had a tour to complete with Krauss. Raising Sand reached No. 2 on both the UK and the US charts, and went on to win Album of the Year at the Grammy Awards in 2009. ‘Please Read The Letter’, a stunning, shimmering track that had previously been on Plant’s collaboration with Jimmy Page, Walking Into Clarksdale, won Record of the Year. 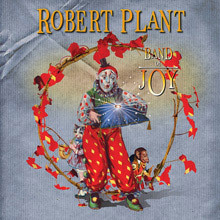 With a bigger audience than he’d had for years, he released Band Of Joy, in September 2010. Issued on Rounder, Krauss’ label, on which he found a natural fit, it was a confident, assured work, that drew further on his love of roots music. A mix of covers and originals, it featured the band of the album title, an affectionate homage to his first band. Ever moving forward, in 2012/13 he played with his new outfit, Sensational Shape Shifters. Robert Plant is one of rock’s complete originals, a true showman, who drinks in all his influences. He performs everything with similar gusto, whether it is bluegrass, blues, rock or folk. In doing do, he brings great gravity and authority to all of his material, imbuing it with great passion. All of his albums can be seen as another episode in his continuing love affair with all forms of music.